Halloween has come and gone, and you know what that means – it’s time to stock up on Christmas wrapping paper, find a good hiding spot for all those gifts you’ll begin tucking away, and locate the right car for your holiday road trip. Lucky for you, AOL Autos made it easy with its list of “Favorite Family Haulers” for the holidays. 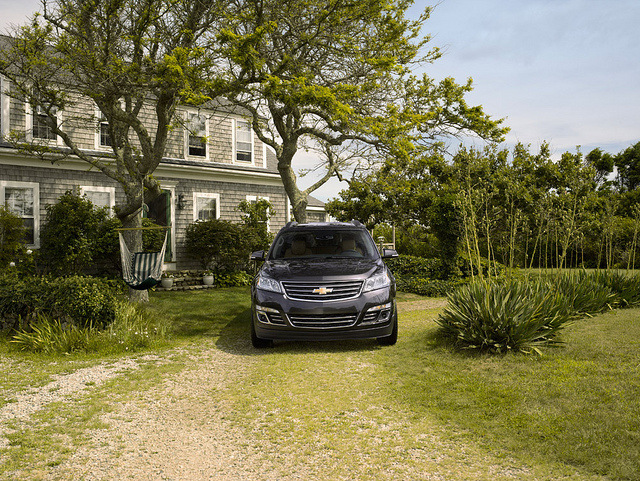 Not surprisingly, the 2015 Chevrolet Traverse made the cut. With a sticker price starting at $30,995 and fuel economy ratings of 17 mpg city and 24 mpg highway, the Traverse won’t break the bank at the dealership or at the pump. Calling the 2015 Traverse a “Favorite Family Hauler” isn’t a surprise. Whether you’ll be hitting the flat, open roads this holiday season, or taking on mountainous terrain, the Chevy Traverse offers something for everyone. With eight different configurations, drivers can create the Traverse that will best fit their lifestyle. The spacious crossover can haul your load full of gifts and luggage, plus up to eight passengers – and why not include the family dog for good measure? Although the Traverse is built more like a car than a truck with its front-wheel drive and impressive handling, it can still haul a truckload of cargo. If you’re ready to go dashing through the snow, stop by Hanner Chevrolet today to test drive a Chevrolet Traverse for yourself!